Check out Diana + Stephan’s wedding here, on TheKnot.com! Diana and Stephan came to us with a clear vision in mind – to get married in Vieques, a small island off of the main island of Puerto Rico. 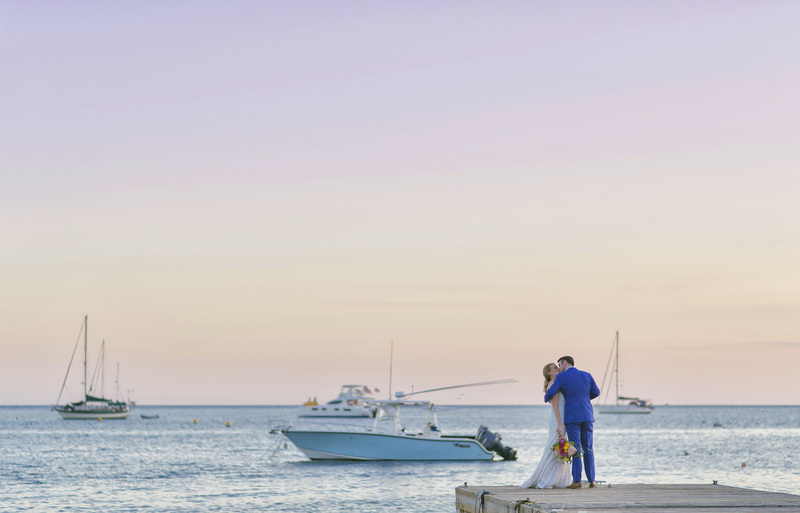 Having produced a wedding there before, we jumped at the chance to create something entirely new – something the island had never seen. Their wedding week took place over the course of a few days – a beach party to start off the festivities with a coconut shucker for authentic coconut rum drinks, a number of flamingo inner tubes, and about 100 of the bride and groom’s closest family and friends. The wedding took place at a brand new venue – El Blok (we were their first wedding!) – which stands in Esperanza on the Malecon overlooking the water and a number of wild horses that roam the streets. 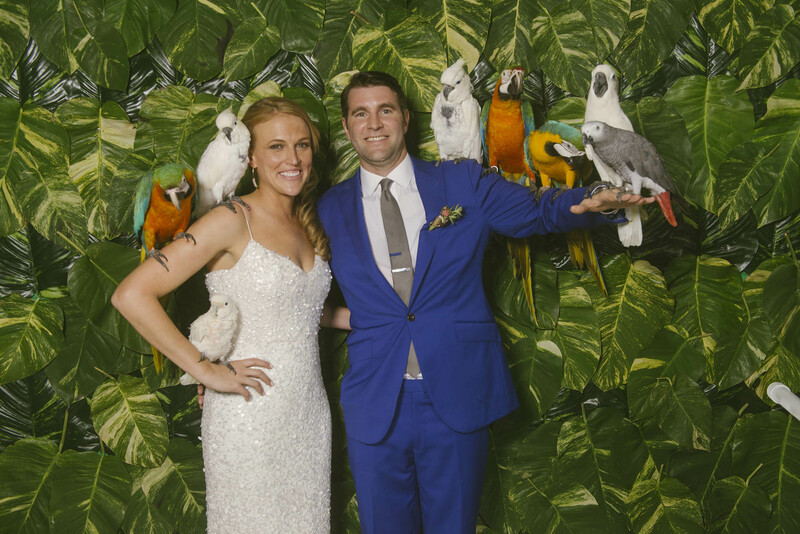 The event design we created for Diana and Stephan included a tropical leaf photo booth back drop – which we had outfitted with tropical birds and iguanas (no worries – they were treated humanely and were loved on by everyone that came into contact with them). 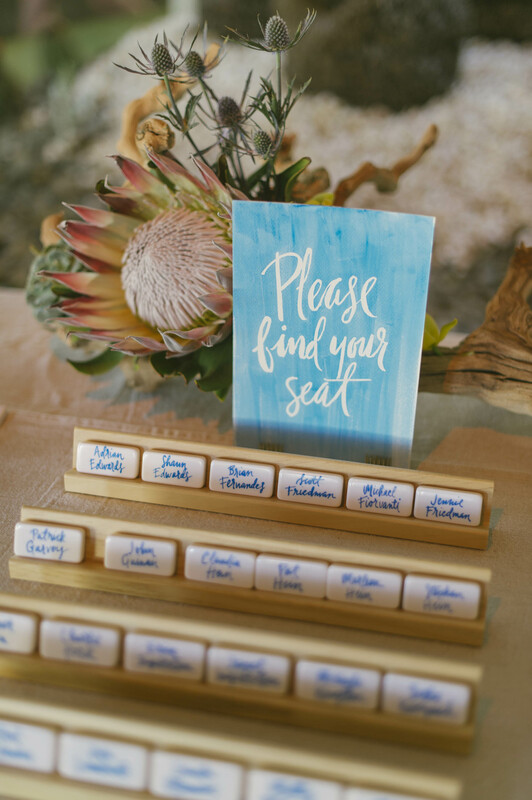 We custom dyed their table linen and napkins, their stationer/calligrapher wrote on the backs of dominos (the bride and groom’s favorite pastime) – with the front indicating the table # assignment with the number of dots. Tropical flowers decorated the tables and the main bar, with the ceremony taking place on El Blok’s roof top. 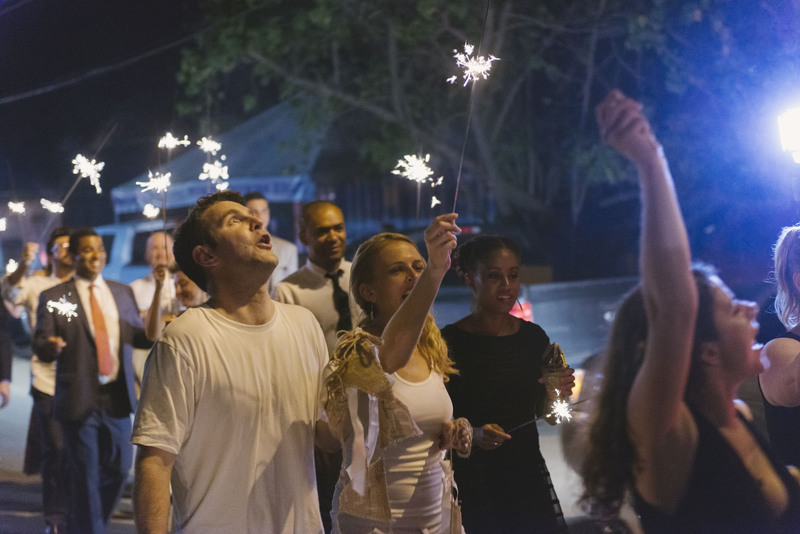 At the end of the evening, the guests processed down the Malecon to a beach bar for their after party – sparklers in-hand – to continue the party. This wedding was nothing short of a great time and so thrilled to share it with you! 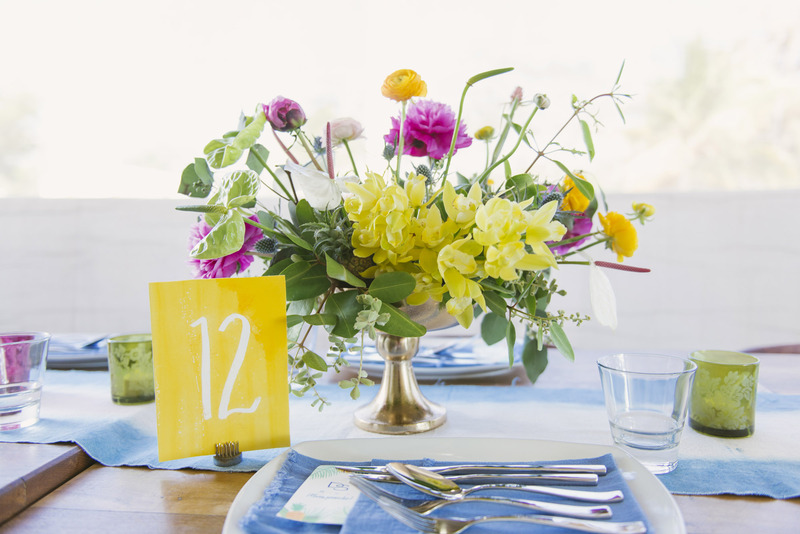 Check out their featured wedding on The Knot!